The aim of this workshop was to bring together cross–‐regional mediation experts and practitioners involved in process design and facilitation, training, selection and recruitment of mediators, as well as government officials involved in the nomination of mediators for track 1 processes, to discuss essential the skills and experience required to mediate processes to prevent, mitigate and resolve armed conflict. 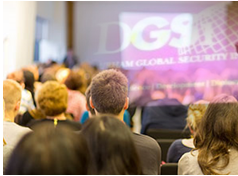 The workshop was supported by the ESRC, DGSi, GCSP and Mediators Beyond Borders International. Read more about this workshop here.